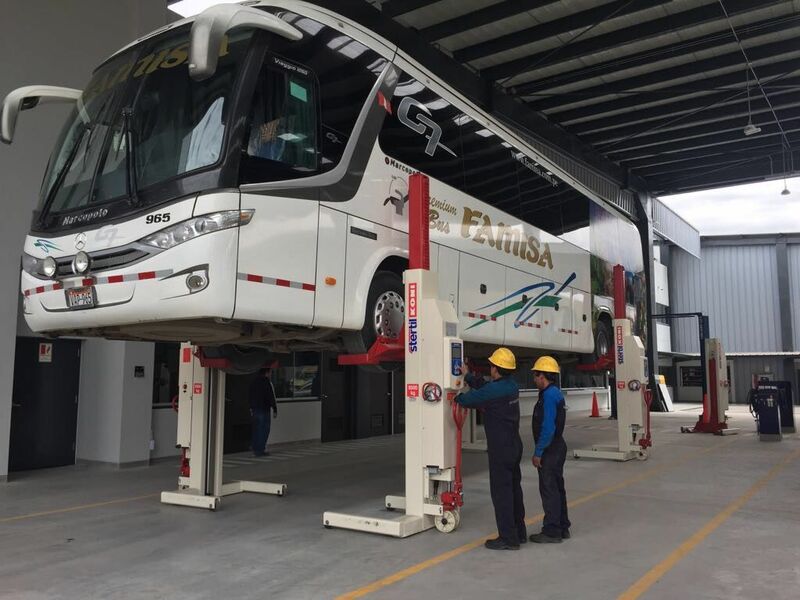 Parking Solutions, our exclusive distributor in Peru, recently delivered a set of six Mobile Column Lifts ST 1085, at Divemotor in Peru Arequipa in Peru. Divemotor is Mercedes dealer for that region. Divemotor does maintenance and inspection jobs on all Mercedes commercial vehicles. 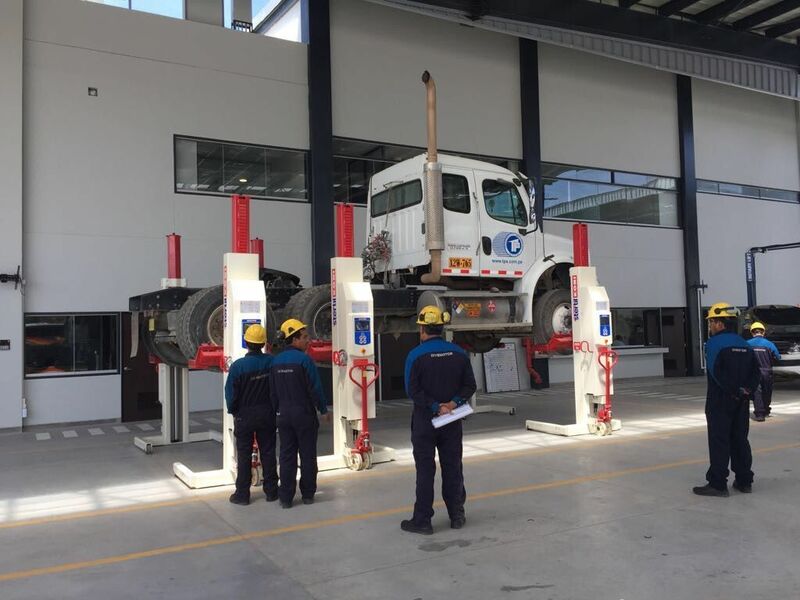 With this set a wide range of commercial vehicles can be serviced including multiple axle vehicles with a total lifting capacity of 51,000 kg. The columns are equipped with adjustable forks even suitable for vehicles with smaller wheel diameters. The ST 1085 columns is equipped with the ebright Smart Control System providing the user actual information about the lifting process. If you would like more information on the products mentioned in this article or any other products in the Stertil-Koni product range, please do not hesitate to contact us today.